First my wall stencil project, then my shoe-icide display... 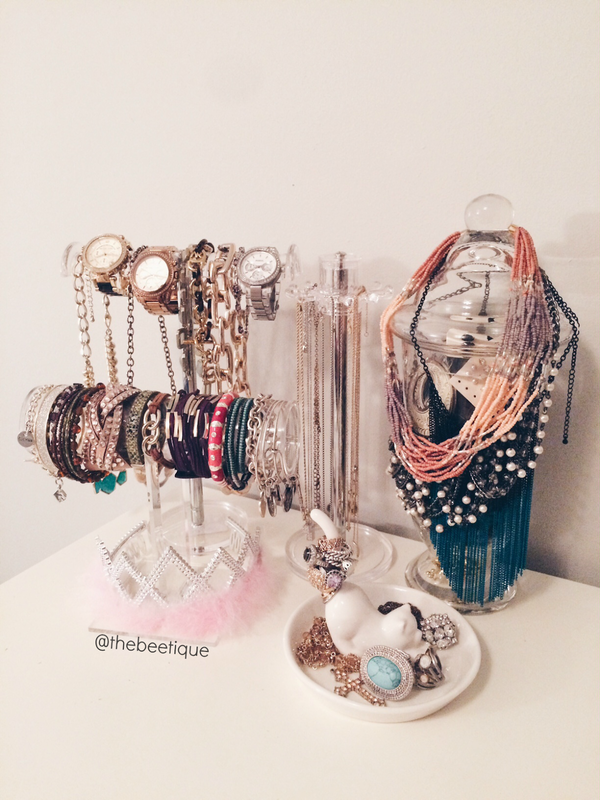 I now present to you, my acrylic jewelry organization collection. ALL purchased for ridiculously affordable prices, located at a store nearest you. Ready? HomeGoods, Marshall's, TJ Maxx... Get to know them, and make them your new best friend. 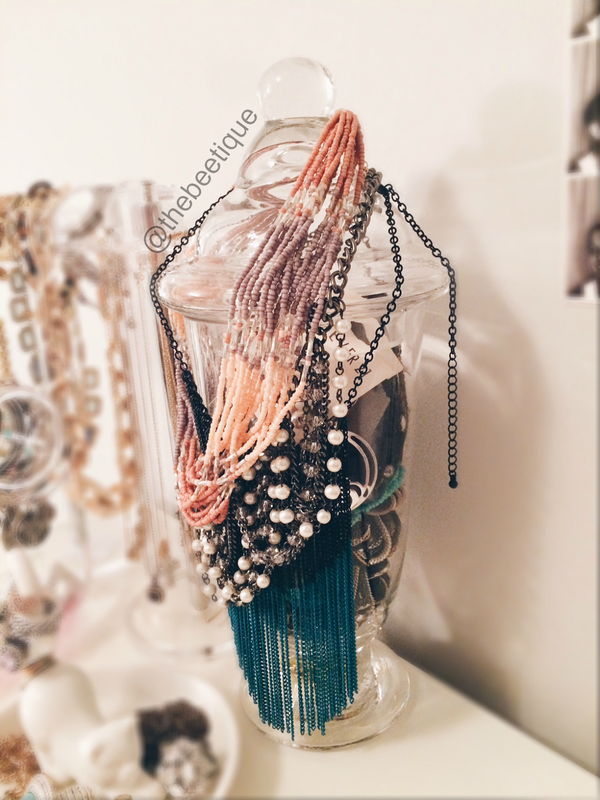 I never realized how much jewelry I owned while it sat in one of those hanger organizers with the pockets, that were always falling out or collapsing from being too heavy. I finally put an end to picking up the mess on the ground like a broken pinata and purchased these Lucite jewelry display organizers. For only $51 total, my dresser is actually looking like a jewelry store. 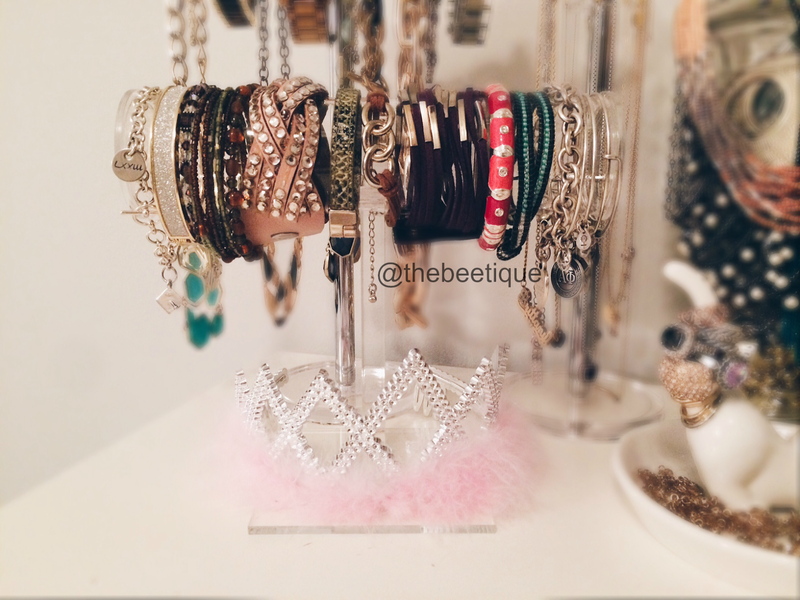 12" Half Bar Jewelry Stand, TJ Maxx, $9.99. 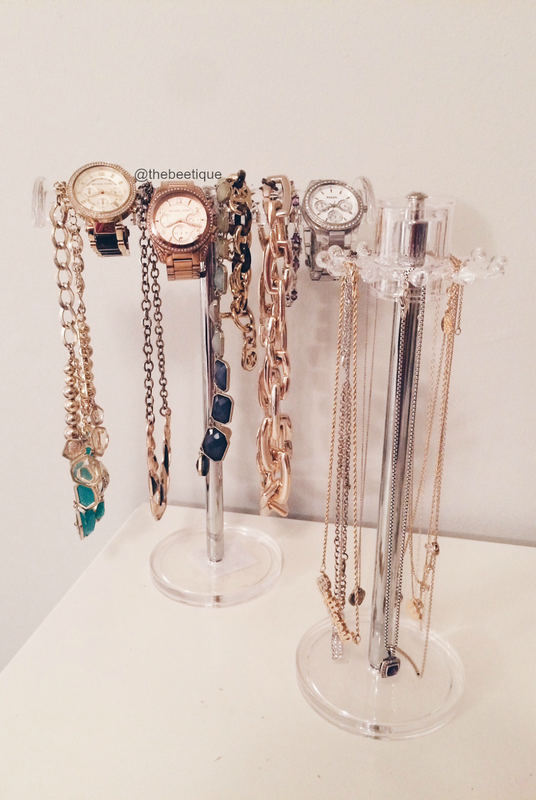 12" Rotating Necklace Stand, TJ Maxx, $7.99. 7" Round T-Bar Bracelet Stand, HomeGoods, $12.99. 14" Glass Apothecary Jar, TJ Maxx, $9.99. 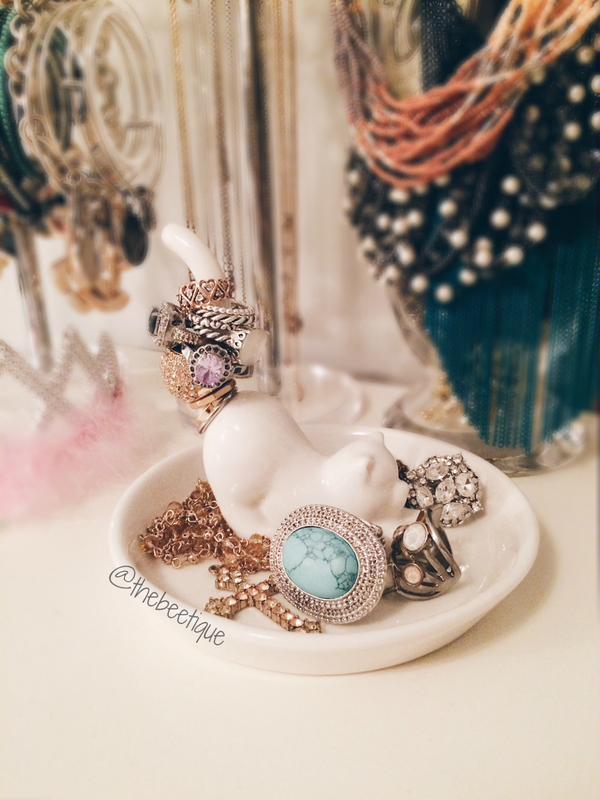 Ceramic Ring Holder Kitten Dish, TJ Maxx, $6.99. There you have it! So I admit none of the above ended up being purchased at Marshall's, but I gotta give them credit for also having a wide jewelry organization selection. Disclosure: All 5 pieces were purchased separately, 5 different times, at 3 different store locations, in a lengthy 3 weeks time. 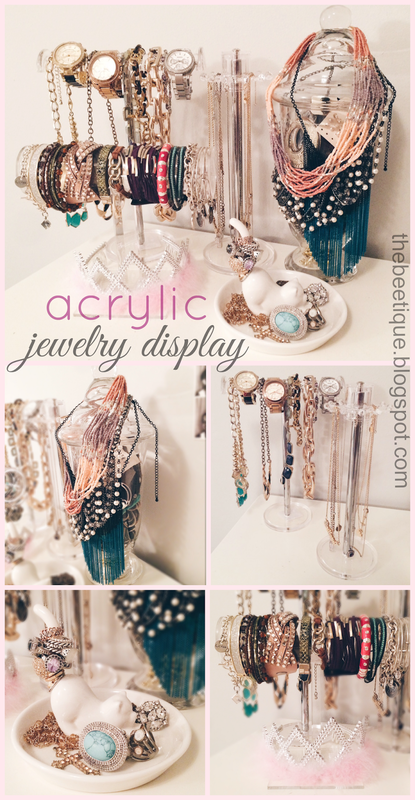 If I inspired you to glam up your jewelry display, always remember that it won't always take 1 store visit to purchase it all! Buy in intervals, and purchase only what you need. 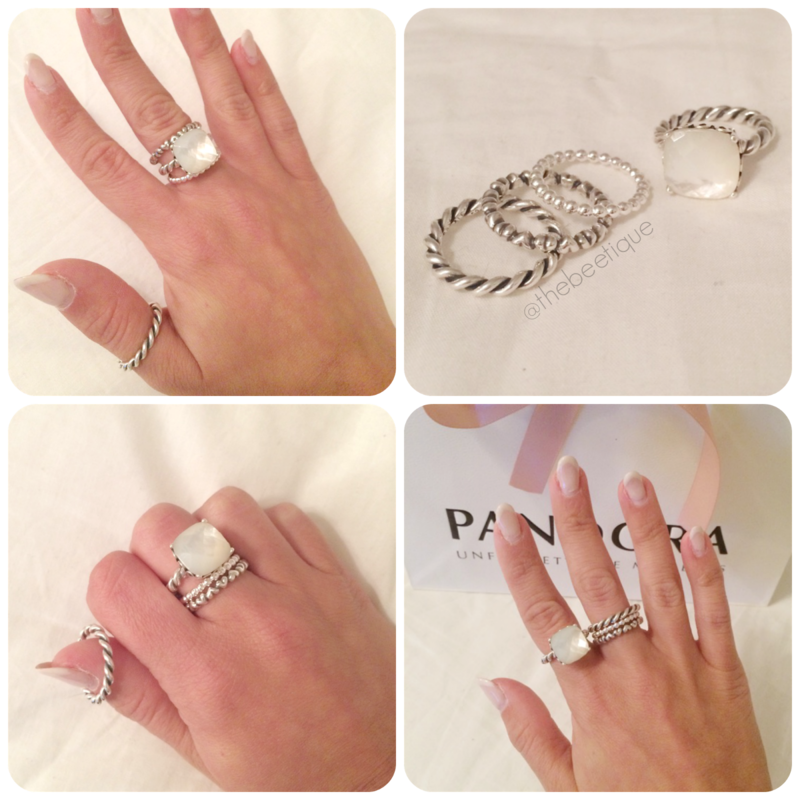 2 comments on "Acrylic Jewelry Display"
I am so in the same situation as you! I ust graduated, and have to move back home (for now). I love this display, your vanity chair, and throw pillows! Any luck with headboard or bed suggestions?